We Oscar obsessives discuss the Academy Awards throughout the year, but the Toronto International Film Festival kicks off what we refer to as the Oscar season – and with good reason, as we have lots of ground to cover this week. Bill Condon’s The Fifth Estate kicked off the fest with mostly weak notices. Faring even worse was Oliver Hirschbiegel’s Princess Di biopic, Diana. If it isn’t clear already, It’s time to throw those films out of our predictions. Richard Ayoade’s black comedy The Double debuted at TIFF to rave reviews. Meanwhile, Jonathan Teplitzky’s The Railway Man, in which I’d placed so much Oscar hope, debuted to rather middling reception at Toronto despite raves for Colin Firth’s leading performance. Atom Egoyan’s Devil’s Knot, about the controversies involving the West Memphis Three, scored dismal reviews. Each film lacks a distributor, but don’t expect any of them to pop up this year even if they’re picked up. The Weinstein Co. picked up John Carney’s Can a Song Save Your Life?, but it’s unclear whether the film will hit theaters before the end of the year. Ditto its acquisition of John Curran’s Tracks with Mia Wasikowska. Steve McQueen’s 12 Years a Slave and Alfonso Cuarón’s Gravity continued to play well at Toronto, gaining more buzz as best picture contenders. Meanwhile, Dallas Buyers Club looks to be a major Oscar player in the lead actor and supporting actor races for Matthew McConaughey and Jared Leto, respectively. 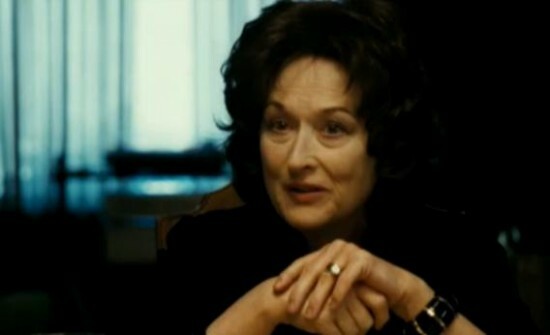 John Wells’ August: Osage County finally premiered on Monday night to mixed response. In the very least, we should see Meryl Streep extend her nomination record. Margo Martindale and/or Julia Roberts might have a presence in the supporting actress race, and Tracy Letts‘ adaptation of his own play might land in the adapted screenplay category. However, August might have trouble getting into the director and picture races. David Frankel’s One Chance, another Weinstein Co. film, made its debut the same night. It looks more like a commercial film than an awards contender right now, but the film about Britain’s Got Talent star Paul Potts might make an impression at the Golden Globes in the comedy or musical races. Speaking of category placement, The Weinstein Co. currently plans to push August as a drama and Philomena as a comedy. Could Harvey lead both Streep and Judi Dench to Globe victories this year? Weinstein is also in charge of Mandela: Long Walk to Freedom, which just debuted at Toronto. Idris Elba and Naomie Harris might compete in the lead actor and supporting actress races, respectively. Lee Daniels’ The Butler fell to number two at the box office after three weeks as the biggest film in the U.S. Woody Allen’s Blue Jasmine returned to the top 10 but with a weaker box-office pull. Salinger did well in limited release, while the Jennifer Hudson-led Winnie Mandela fared poorly, both financially and critically. Check out this week’s predictions on the next page, and feel free to chime in with a comment.